We now come to the most important part of the entire website building process. This is where you add your content and start to make your website useful for visitors. Everything we have done so far is to set up your website to make everything look professional. Now we shall start to add the content to the website and bring it into life. There are two main ways that you can add content to your website. When using WordPress, you can either add pages or posts. Many Internet Marketers get confused with the difference between a page and a post when using WordPress. They are essentially the same thing in that they both contain content but WordPress treats them slightly different. This is often referred to as the “sorting” method. Posts are sorted into lists whereas pages are not sorted into lists. So for example in the blog element of your website your posts will be listed in chronological order. When we create specific categories, then they will contain lists of posts that are relevant to that category. On the other hand, pages do not appear in lists and stand alone as a single page. The principle is that you use pages where the particular thing you are writing about will not change very often. I will also have a blog on my website and that will contain content that I will be posting on a regular basis. In other words the content on my blog will change and for that type of “dynamic content” I will use posts. When you write a post on WordPress, it will be published as part of the blog, it will have a category assigned to it, and I can also use something called tags. When you write a page on WordPress it is simply a page with no categories and no tags. At the beginning, this can sound very confusing and many new people wonder what the fuss is all about. It is not that complicated but it can be easily over complicated. For now though it is more important to focus on the actual content plan itself. 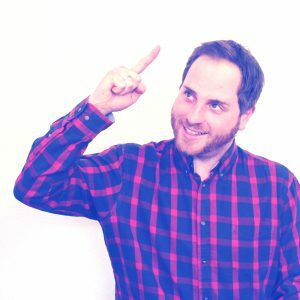 How to Plan Your Content the Right Way? A good quality Amazon Affiliate website will have clear navigation, unique and well written content that visitors will find interesting. That is the most important thing to keep in mind. To achieve that we will be using pages, posts, menus and widgets. If all of that sounds strange then do not worry. When you have done it a few times, you will discover that is is a lot simpler than it sounds. If you have been following this case study then you should have 20 articles written and ready to publish on your new website. You should also have reviewed them and make sure they meet the content guidelines that I have suggested. That is a great start and we now also need to add a few pages. When the pages have been written along with the other 20 written pieces of content, then that is a great foundation for the content of your website. So these pages along with the 20 articles that you have already written will form a very good beginning for your website content. It also starts to make the website look and feel they way a good website should. Once you get this part done, you will be able to publish your website and make it go live on the Internet. After that, it is simply a matter of adding content on a regular basis and growing the size of your website. As with your previous content, I strongly recommend writing these out first before you add them to your website. That way you can concentrate on your writing rather than on the technical issues of using WordPress. The other pages can be done almost automatically and I will show you that later on in this article. Those new to Internet Marketing usually struggle as to what content they should have on their home page. The first question is should you even have a Home page? A lot of new people who build this type of website simply allow their blog to be their home page. They write articles and then allow those articles to form the main content of their home page. In essence it is like using the blog page as the home page. That is a perfectly fine way of setting up your website. To do that you simply would publish your 20 articles and they would then be listed in date order on your home page. Now in this case study, and with any affiliate website that I build, I prefer to have a fixed or static Home page. My website is about helping people make the perfect cup of coffee, with the focus being on grinding their own coffee beans. That is what I want my main home page to be about. As such that is what I will write my content about. Once I have written and published that it will not change a great deal. I prefer this method to a page with random posts on it. I then build a blog page which is very quick and easy to do and that will be where my posts will be held. I always think that my home page is like a mini showcase for my website. Take the time to plan this out, and even sketch out what you would want this to look like. Always think of the visitors coming to your website and what they would like to see. You will then see a section that show the latest posts from my blog. Underneath that section is an explanation of the various coffee grinding options. I have added images there to make it easy for visitors to navigate to a specific place. Underneath that is more content that shows which brewing method matches which type of grind, and I have used a table here to show the different types of grind. Finally there is a section where I offer them a free book on coffee recipes to help build up a list of subscribers. (I will explain why in a later section.) You do not have to do that on your website when starting out. It can always be added later if you want to do that. The important things to note here is that my content is all about coffee grinders, coffee grinding and brewing. That is all the content is relevant to the grinding coffee topic. You should also be able to see that it is easy to navigate to other articles on my website. Both of those are important for relevance and ease of navigation. Always make your home page have relevant information and links to relevant information. This is simply the page where you can build a relationship with your visitors. When people come to a website to read a review, or read one of your information articles, quite often they will check out the About page. This page should introduce you to your reader, tell them a little bit about you and then inform your readers why you decided to build the website. It is your best chance of getting your personality across, and to let them know that you know what you are talking about. Many new people do struggle with writing this page as again they are not sure exactly what to write there. There are some really bad about pages out there so do not fall into that trap. Never copy anyone elses about page. You want this one to be unique and about you and your website. There is no right or wrong way of writing this in terms of content. You should however take this opportunity to make it unique for your website. Again I am often asked how many words should be in a page like this. Please forget about the number of words and just focus on writing a little about yourself, and why you made the website. The important thing to note here is that I include 3-4 links. I link to my home page, my contact page and often I link to 1 or 2 external pages. The reasons for doing that is that when visitors come to an “About” page, they will typically scan it (not read all of it) and you need to tell them where to go next. This is a good place to add an image of yourself. It means that your visitors can relate to a real person and that helps build up the trust in your website. Now some people do not want to use their own picture for a whole variety of reasons. If you are one of those people then use an image that represents your website. Personally I highly recommend using your own image as it makes your website more trusted and people do relate to other people. This is simply a page where you can advise people how to get in touch with you. You simply need to write a few words explaining this. After that you add a “shortcode” from the contact form 7 and that automatically creates a contact form where people can leave you a message. As you can see from this all I did was write a few words with a link back to my Home page and my About page to try and keep people on my website. There is also a form there that is added using the “Contact Form 7” plugin. To get that code you go to your WordPress Dashboard and login as normal. Then go the left hand column and click on Plugins>Installed Plugins. Copy that code and then add that code to the bottom of your contact page and publish. That automatically generates a nice looking contact form. If you plan on monetising your website with Google Adsense adverts, then this page is required. Irrespective of that I would always have a contact page on my website. This is a legal document that shows how you will treat any information that visitors may offer to you. This can include things like using “cookies” on your website or capturing their email addresses. Visitors to your website want to be sure than any information they share will not be misused. As this is a legal document I can not advise you what information to put in there. It is always the responsibility of the website owner as to what this policy should contain. If you are going to be an Amazon Affiliate, then it is mandatory to have a disclosure statement somewhere on your website. This can be done as a page or included as a footer note on your website. Basically this page says to visitors that if you click on certain links within the website, that the owner of the website, may receive a commission. This is the easiest of all to create. You simply name your page something like “Blog,” “News,” “Latest Updates” and then just publish it. Most visitors are familiar with the term blog on a website. The name you use for your blog will depend on the market. For example a website about fitness could call their blog page, “Fitness News” and alternatively it could simply be called “Blog.” It depends how tailored you want this to be for your audience. For my websites I like to use something like “Latest News” as I find people like to keep up to date with what is happening. 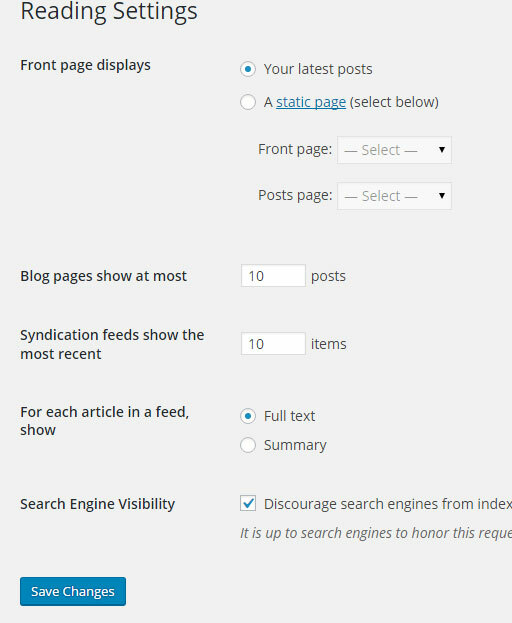 When you use a “Post” to publish your article this will be automatically added to your blog page. How to Pull All Your Content Together? At the moment you basically should have what I would call a nice looking and professional shell. When the content is added then the website begins to take on a proper look and feel. When this has been added, then the website can be published and go live on the Internet for everyone to see. So when you have completed your pages it is time to pull all of this content together and get it published. You should have in total 6 pages and 20 articles and that is a great start to putting up valuable content on your website. Just to refresh a page is simply a page that is published to your website and will contain content that does not change a lot. It is possible to publish all your content as pages and simply forget about having a blog at all. Some website builders prefer to do it like this. For Amazon Affiliate websites I have always found that it works better if you have pages and a blog with posts. A category is used to list a post into a specific place. In my case if I wrote several articles on roasting coffee, then I would create a category called “Roasting Beans” and any articles related to roasting will go into that. Likewise if I wrote about brewing coffee I would create a category called “Brewing” and add any related posts into that. Over time you will create a number of categories, and even sub-categories on your website to hold posts about a particular topic. Do not go crazy with these and keep them fairly general. 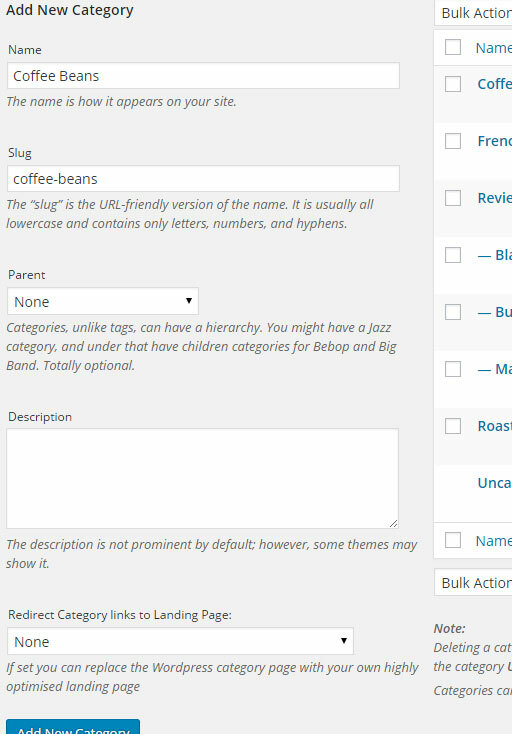 WordPress also allows you to add tags and many website builders confuse categories and tags. Tags are another way that helps visitors and the search engines figure out what content is related. You will see a section where you can add tags (covered later) and in there you should include words that are frequently included in the actual article itself. So for example if I wrote an article about roasting coffee at home, I could include words in my tags such as, roaster, frying pan, skillet etc. I would not use the category name as a tag though. Categories and tags are not the same thing though many web masters think that they are. This shall be covered in more detail when we come to writing a post. For now though let’s see how to add a page. So when you write an article you have to decide should this be published on your website as a page or as a post? The simplest way to decide that is to ask yourself a simple question. Will the content of this page ever change much? If the answer is no, then use a page and if the answer is yes then use a post. We shall begin by adding those pages that we have written. You will then be presented with a page that looks like this. To demonstrate how to use this I will show you how to create the About page. This looks like a typical word editor and most people will be familiar with the normal buttons like bold, italics, bullet points and quotes. At the top right hand corner of the page you will notice two tabs called visual and text. These can often confuse new people. Visual refers to something called “What you see is what you get” and is shortened to the term “WYSIWYG.” It simply means that as you type in the main area of the page it will look on your website exactly the same as it does on the page. The “text” tab is actually the HTML coded version of the main editor. HTML stands for Hyper Text Markup Language and that is how websites are coded to suit the Internet. Do not worry about it as you seldom, if ever, have to use it. When you are using WordPress for the first time they only show you a limited amount of text editing buttons. By clicking on this kitchen sink button you get a lot more options. Other text buttons will show up such as underline, copy, paste etc and most people will be familiar with those. These are buttons that you can use to create internal and external links on your website. There is one for making a link and one for breaking a link. Your blog page will eventualy contain a number of articles. You can set how many of these articles you want to appear on the page at any one time. Visitors will not want to scroll through full articles to find the next one. What you can do is display a number of lines from your article and then add a read more link or button which they can click on if that article interests them. The read more button allows you to set the position on your article where they can do that. A featured image is an image that will appear at the very top of your post or page. People do like images so it is always a good idea to add a featured image. Those are the main buttons on the page and after publishing a few pages and posts; you become very familiar with them. You begin with filling out the Title which in this case will be “About,” “About Me,” or “About Us.” I normally keep it simple and go with About. In the main text area underneath is where you will add your content. You should have written the About page so it is simply a matter of copying and pasting that content into the main area of your website. If you have created your articles in Microsoft Word you shouldn’t directly cut and paste those into WordPress. That is because Word has some coding built in and it will not look right when published. To avoid this you can copy your article from MS Word to something like Notepad or any plain text editor. From there you can then copy straight into the WordPress text area. Then you can format into paragraphs to make it look better. Always keep paragraphs short and no more than 3 to 4 lines. Large blocks of text are hard ro read and rather boring. Then set a featured image of yourself or an image that represents your website. When you do this it you will have to upload an image. 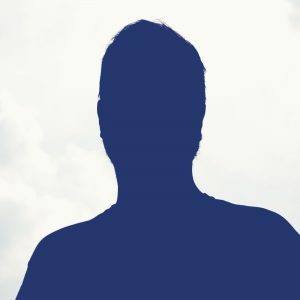 Make sure that you have an image of yourself on your computer, or an image that represents you website. Click Add New> Upload>Select files. Then add your image and fill in both the title and what is called the “Alt Text” name. This is to help people who may be visually impaired to know what your image is about. It also helps with the search friendliness of all your images. Then Click “Insert. The image will now have been added to your page. This is also a good time to do a final proof read and make sure there are no spelling mistakes. When you have done that then simply click publish and your page will be published. You can then click “View the page” to see how it will look to the visitors. You should see your content and also an image. How to Add a Post? It is a good idea to set up categories before publishing any posts. If you remember a category is a place where you will publish related posts. These will vary depending on which topic your website is about. You need to pick categories that are relevant to your niche. If you are not certain what these should be, then look at a competitor’s website and see what they are using. Make a list of those and then decide if you want to add some or more of these. Go to your dashboard and sign in. On the left hand side hover over Posts>Categories and click that. That will then add it to the right hand side of categories which you can always edit later if you change your mind. I suggest that you add all your categories at the same time. You can add a description of the category if you want but most people do not. A screen similar to the page screen will appear. As before add the title of your article and copy the text into the main area. On the right hand side you will now see a “Categories Section” and you need to tick the right category for that article. You will also see a Tags section and in there you add important words in the article and separate them with a comma. When that is done you should publish your article and it will go live on your blog. You can now publish 10 of your posts in exactly the same way, making sure to add them into categories and also to add related tags. We will use the other 10 posts when your website goes live. At the top you will see “Front page displays”. When you view your website now it should display the main Home page and if you click on the blog page it will display a list of your posts. Now your website has content on it along with some pages, and we need to add a menu, for navigation. You now have content on your website and should include both pages and posts.To make all of this look neat (easy to navigate) we need to add a menu. Now depending on the theme that you selected, it may allow you to add just one menu or a few menus. Add a name such as Main Menu and then click Create Menu. On the pages tab on the left hand side you can click the pages that you would like to appear at the top of your website. I normally use Home, About, Blog. Then click “Add to Menu” and save the changes. You should now see a tab called Manage Locations so click on that. For the Primary Menu pick the name you gave it from the drop down menu and save changes. When you view your website now you should see the menu has appeared at the top of your website. If you only have one menu on your theme then simply include all of your pages in this. You can sort these into order by clicking and holding on each item and simply moving it up and down. Congratulations you now have a website with pages, menus, posts, categories and tags all set up.